Profiting with Forex introduces investors to all the advantages of the global foreign exchange market and shows them how to capitalize on it. 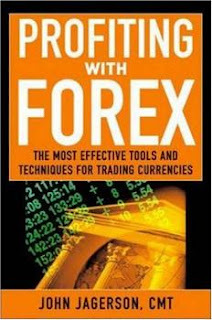 Readers will learn why forex is the perfect supplement to stock and bond investing; why it is unrivaled in terms of protection, profit potential, and ease of use; and how it can generate profits, whether the other markets are up of down. Filled with over 150 illustrations and figures, Profiting with Forex also shows investors how to combine their newly acquired knowledge of Forex fundamentals with proven trading techniques that can generate great rewards in the market.